What’s better than finances and football? 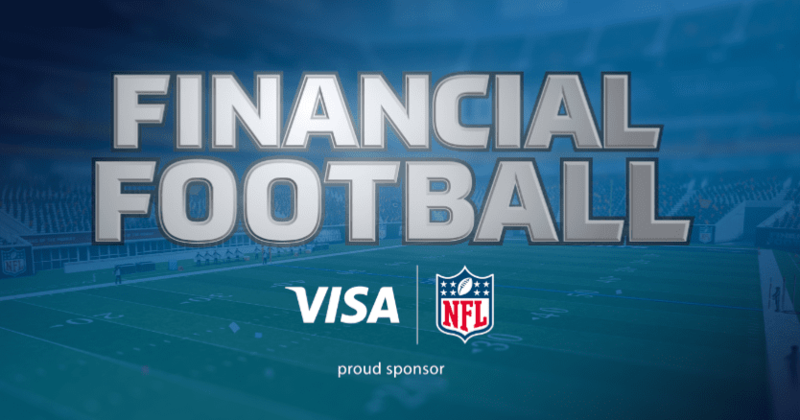 Visa has partnered with the National Football League (NFL) to create Financial Football. Unlike most financial education games, this one is fast-paced, interactive and very fun. It’s goal is to teach students money management skills in an engaging way. Recently (fall 2018), they updated the game to include 3d graphics and more gameplay opportunities. Want to check it out? It’s free. Just click the button below to be taken to the game. The concept of the game is very simple. You own an NFL team and you’re trying to lead them to victory on the field. While the game itself is played based on the rules of the NFL, your knowledge of financial literacy is what determines how good your team will do on the field. The actual gameplay is pretty simple and you’ll catch on fast. Each game begins with a coin toss. If you choose correctly, you can select between receiving or kicking the ball. At the beginning of each play, you’re presented a big board with a random selection of 4 financial topics (chosen from the list mentioned above). Each topic contains three questions: an easy one, a medium one, and a hard question. The harder of a question you answer, the better your offense/defense will do in the following play. Once you select a category and difficulty level on the big board, you get to select the play that you want your team to execute on the field. You’ll be able to select from a variety of plays – so make sure you pick one that best fits the situation. What makes this intense? Well just like football, there’s a play clock. You have 40 seconds to choose your category and difficulty level, select a football play, and answer the question(s). If you let the clock expire, you will receive a Delay of Game penalty resulting in a loss of 5 yards and starting over on the big board. Are you ready for some (financial) football? !